Dreamfest celebrates 7 years highlighting the diversity of talent on the Memphis music scene! This year CLE Events has partnered with Dope On Arrival and Jason Da Hater to create this 3-day event that will feature a diverse lineup of talented artist from a variety of genres. Performances by: C-Stilla, Izzy Moore, Tha Kidd From Marz, SvmDvde, Gerald Morgan, Jr, Queen Tyki X, Beata, Akronym Est 1990, Ron Greer, Marque Boyd, RobenX and Tia Songbird Henderson. The Cooper-Young Festival, hosted by the Cooper-Young Business Association (CYBA), is Memphis' most anticipated outdoor celebration. Held in Memphis' largest historic district, the Cooper-Young Festival is scheduled for September 16th, 9 a.m. to 7 p.m. In its 30th year, this event has grown tremendously and is one of Memphis' most highly attended Festivals. This year, over 130,000 guests will enjoy an appealing mix of art, music and crafts presented by over 435 artisans from around the country. The Cooper Young Festival is a true celebration of the arts, people, culture and Memphis heritage. Cooper Young was named one of the "Top 10 Great Neighborhoods in America" by the American Planning Association in 2012. Come join the party and get to know why Cooper Young is Midtown! The Delta Fair is a classic. It's a week, September 1st – 10th, of midway games, rides, livestock and homemaking competitions, exhibits, and more. 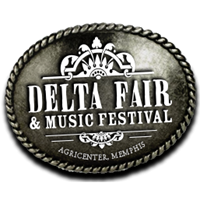 The Delta Fair & Music Festival brings the communities of Memphis together to celebrate the area’s rich art, music and culture. In addition to the lineup of homegrown musicians performing across a diverse range of genres, the festival offers a wide variety of entertaining attractions like a motorcycle stunt show, live chainsaw sculpting, a Mexican rodeo, a mini tractor pull, laser tag, magic shows, a demolition derby and more. The 4-H and FFA Children’s Barnyard features kid-friendly exhibits and an opportunity to feed live farm animals, and one of the festival’s highlights is the Banana Derby, where Capuchin monkeys are the jockeys in an adorable dog race. What would a visit to the fair be without filling up on the good old-fashioned fair food! You’ll find everything from Pronto Pups to Funnel Cakes and everything in between! Whatever you decide, we can all agree that state fair foods are the best! Located at 7777 Walnut Grove Rd, Memphis, TN 38120. Call (901) 213-7469 or visit www.deltafest.com for additional information. Bring your chairs and blankets and celebrate 29 years of fun on the bluffs of the Mississippi River in a beautiful park-like setting on the grounds of The Metal Museum. Giant shady oaks, cool river breezes, the smell of BBQ, fantastic music, and absolutely the best view of the Mississippi in the entire mid-South! Schlafly Beer is the beer sponsor. Home Run Entertainment, LLC presents the 2nd Annual Memphis Caribbean Jerk Festival and Family Fun Day benefiting the Sickle Cell Foundation of Tennessee on Saturday July 15th for 12pm to 10pm at Tiger Lane located at 450 Early Maxwell Boulevard. There will be a variety of Jerk and Caribbean foods available, live entertainment featuring top local Caribbean musicians, Dominos and Chess tournament and an exotic car show featuring customized cars from brands like Bentley, Mercedes Benz, Lamborghini and more. Plus there will be several other activities for the whole family. The Memphis Caribbean Jerk Festival is filled with fun and guests will have an opportunity to enter the Sickle Cell Foundation of Tennessee’s raffle to win amazing prizse such as a 4 night stay in Cancun, Mexico (sponsored by Financially Crowned Queen), or a Big Green Egg Grill (sponsored by Ken Rash’s, Inc.), a Fine Area Rug (sponsored by Dan The Carpet Man), a 6.2” Touchscreen DVD, CD/MP3, AM/FM Receiver w/ GPS Navigation & Android PhoneLink Car audio system by SoundStream (sponsored by Xtreme Auto Accessories), 1 of 4 Signature Car Detail Services (sponsored by Detail One) or 2 round trip ticket on Southwest Airlines. Imagine sitting under the stars, surrounded by beautiful gardens, while a soft summer breeze floats by. You’re sipping a cool drink, dining, and chatting with friends, while listening to the music of world-renowned artists. Welcome to Live at the Garden! Live at the Garden is a music lovers dream come true! A star-studded line-up and 96 acres of unsurpassed natural beauty at the Memphis Botanic Gardens. The 2017 summer line-up includes some amazing performers – Little Big Town, Boston, Drew Holcomb & The Neighbors, Seal and The Steve Miller Band! Get your tickets today! You can also purchase a season lawn pass so you won’t miss any of the shows! It is going to be an amazing summer! Looking for an incredible venue to host your next party? Live at the Garden provides private hospitality areas for you and your guests. They include a tent, chairs, lights, and bar and catering options. You simply let them know what you want and they’ll take care of the rest. Worked up an appetite? Several vendors will be on-site to tempt you with tantalizing Garden treats. Buster's Botanical Bar provides a great selection of frosty and refreshing beverages for thirsty concert-goers. You can also pre-order food from one of the preferred caterers. All you need is an appetite for fun and Live at the Garden will bring the stars! This is an experience you won’t want to miss! Visit their website or call 901.636.4107 for more info. Jerry Lee Lewis built his name in Memphis and now he showcases the best Delta musicians. Enjoy Southern favorites with live music in the Honky Tonk Café, relax by the open-air Flaming Fountain Courtyard stage, visit the Backstage Bar for a casual local feel, or head upstairs to the Balconies on Beale lounge with the best balcony-level view of World Famous Beale Street! Located on world famous Beale Street in the heart of downtown Memphis, the Café & Honky Tonk is a prime location to stop and eat before the big game or concert. They open early and stay open late, catering to both tourists and party animals alike. The menu includes some of the best Southern food….fried chicken, sausage and chicken gumbo, burgers, catfish, ribs and so much more! Similar to those smaller cafes located across the Deep South, the Honky Tonk Café has small bar tables, a stage with a band playing your favorite Sun Studio hits, and a lifetime of Jerry Lee Lewis’ memorabilia. Modeled after a musician’s dream hangout. You have several TVs to catch up on the latest sports or music news and a relaxes bar vibe to come make music and hang out with friends. The upstairs room of Jerry Lee’s is a private getaway with multiple balconies-giving you the best view of World Famous Beale Street. It is perfect for celebrating important occasions, and great for a night out with your sweetheart. Featuring merchandise that highlights the history behind Jerry Lee Lewis’ musical career along with apparel for all occasions, polos, hoodies, and more! An assortment of Jerry Lee Lewis’ memorabilia from his private collection. There’s always a whole lotta shakin’ goin’ on! Monday-Thursday 4 p.m. – 3 a.m.
Friday 4 p.m. – 5 a.m.
Saturday Noon – 5 a.m.
Sunday 4 p.m. – 3 a.m.